ISS042E292504 (03/01/2015) — U.S. astronaut Terry Virts observed this scene from the International Space Station on Mar. 1, 2015. He sent this image via Twitter with the remark, “The camera doesn’t do it justice – floating in space, looking down on creation, seeing new color shades”. 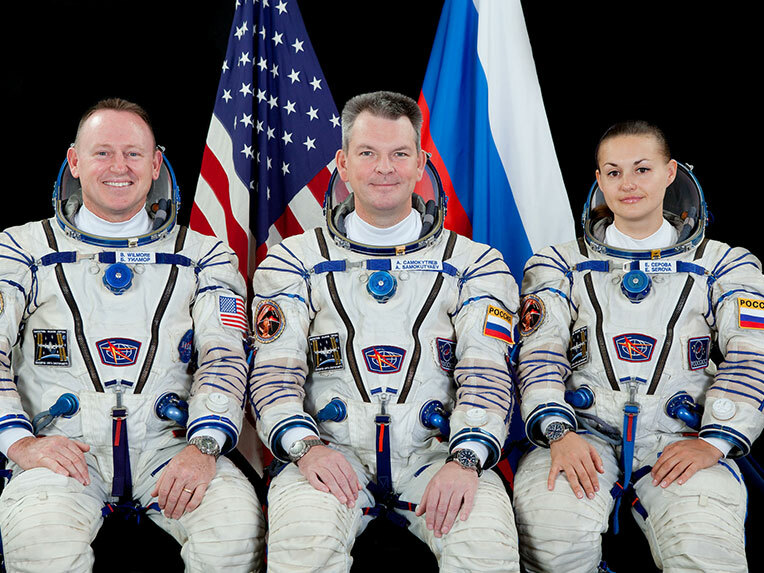 Expedition 42 crew members Barry Wilmore, Alexander Samokutyaev and Elena Serova are two days away from ending their stay aboard the International Space Station. The trio is packing gear and cleaning crew quarters as they prepare to undock in their Soyuz TMA-14M spacecraft Wednesday at 6:44 p.m. EDT and land in Kazakhstan at 10:07 p.m.
Wilmore, the commander of Expedition 42, will handover control of the orbital laboratory Tuesday to NASA astronaut Terry Virts who will command Expedition 43. The Change of Command Ceremony will take place live on NASA TV at 10:25 a.m. Meanwhile, advanced microgravity science and laboratory maintenance is ongoing aboard the space station. Among the experiments, the crew studied body size and shape in space for suit sizing and looked at airway inflammation in astronauts. Ethernet cables were also installed in the Harmony module that will enable future commercial crew vehicles to communicate with a pair of upcoming International Docking Adapters. The Expedition 42 crew completed the deployment of numerous nanosatellites while also preparing for the departure of a Soyuz crew. 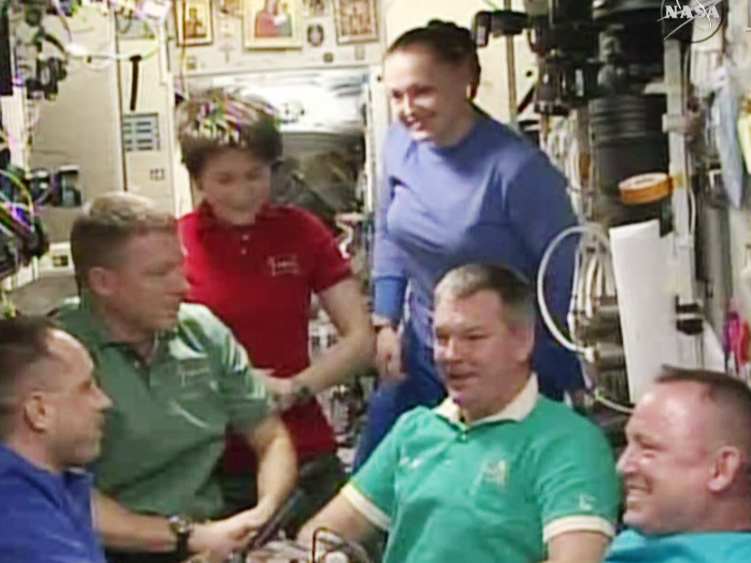 The six-member crew also worked on advanced microgravity research and the upkeep of their orbital laboratory and home. The final pair of Cubesats was deployed overnight completing the launch of a total of 16 nanosatellites from outside the Kibo lab module. 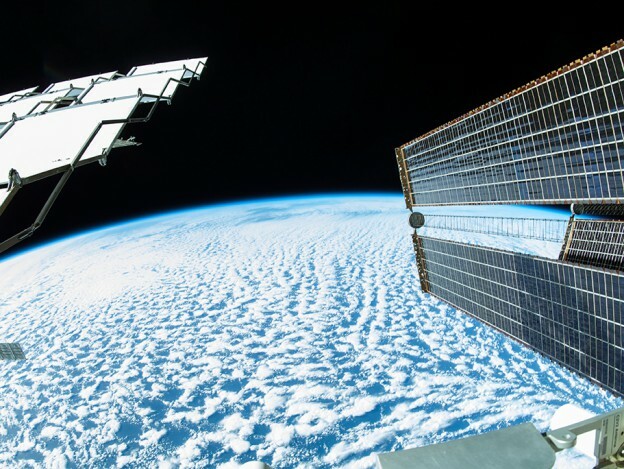 The Cubesats were launched from the International Space Station to perform a variety of research. 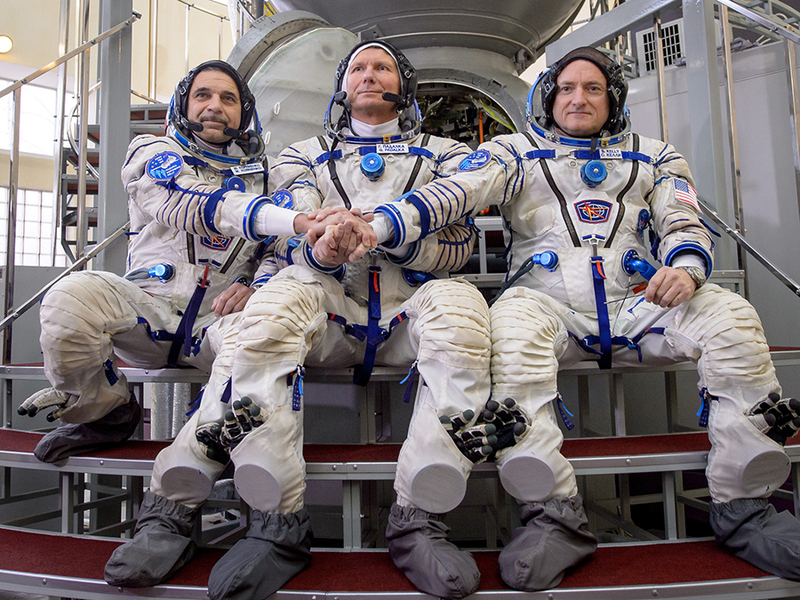 Commander Barry Wilmore and his Soyuz crewmates Alexander Samokutyaev and Elena Serova are counting down to their departure March 11. 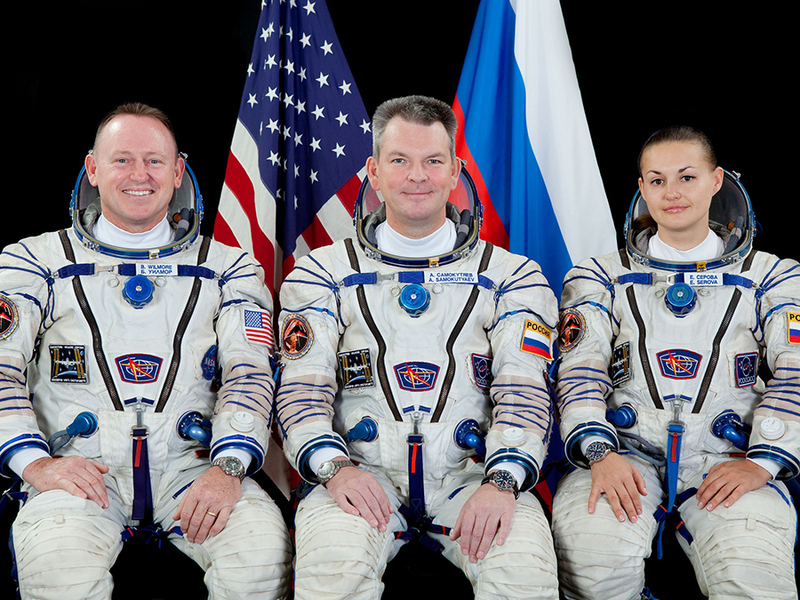 Staying behind will be new Expedition 43 Commander Terry Virts and Flight Engineers Samantha Cristoforetti and Anton Shkaplerov. 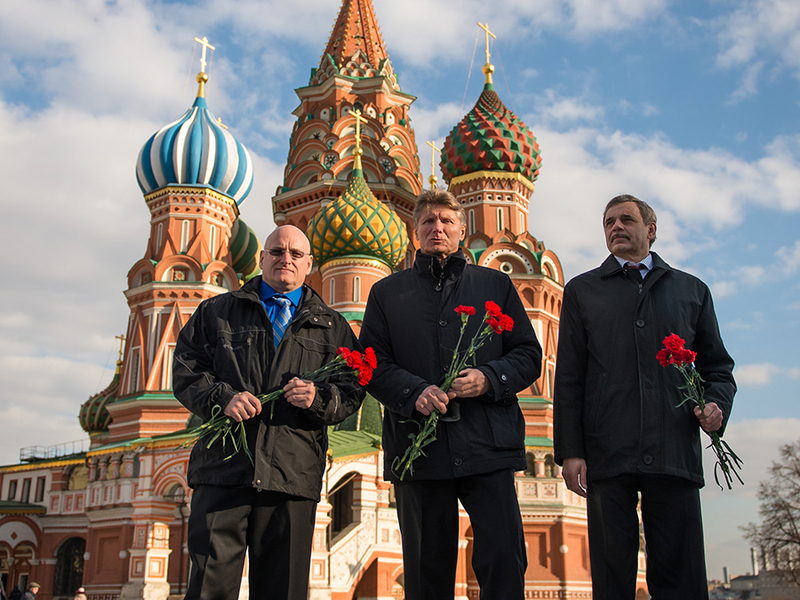 They will be waiting for new Expedition 43 crew mates Scott Kelly, Mikhail Kornienko and Gennady Padalka who are scheduled to lift off March 27. 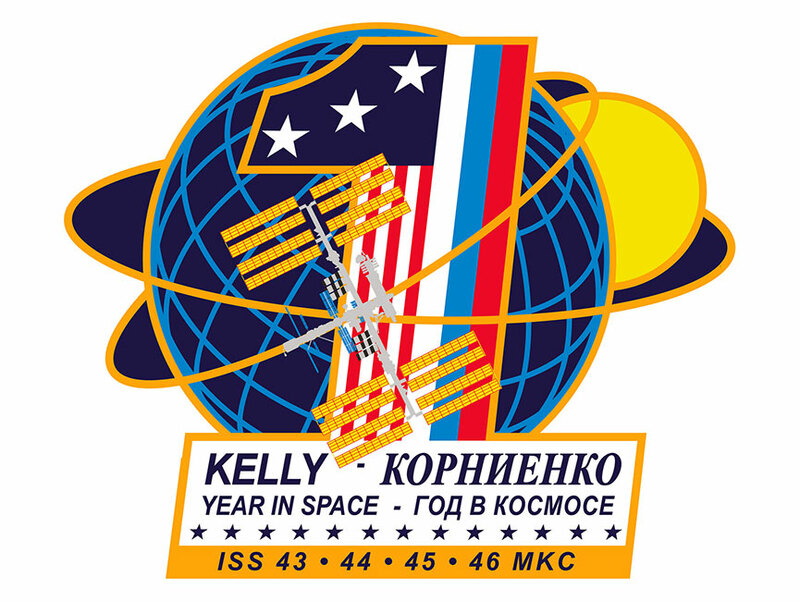 Kelly and Kornienko are in Star City, Russia, completing final mission preparations and will stay aboard the station until March 2016. As a pair of astronauts cleans up their spacesuits after completing a set of spacewalks, more nanosatellites were deployed from Japan’s Kibo lab module. 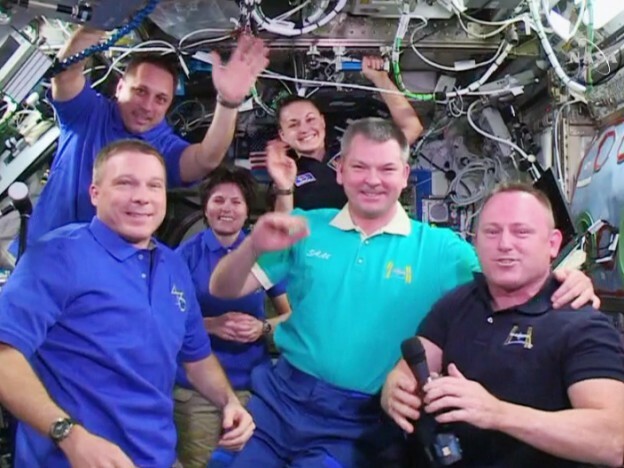 The International Space Station also raised its orbit Tuesday morning to set the stage for the upcoming crew departure. Astronauts Barry WiImore and Terry Virts scrubbed the cooling loops inside the spacesuits after their third and final spacewalk on Sunday. They also sampled the water from the loops and talked about their experiences with spacewalk experts on the ground. 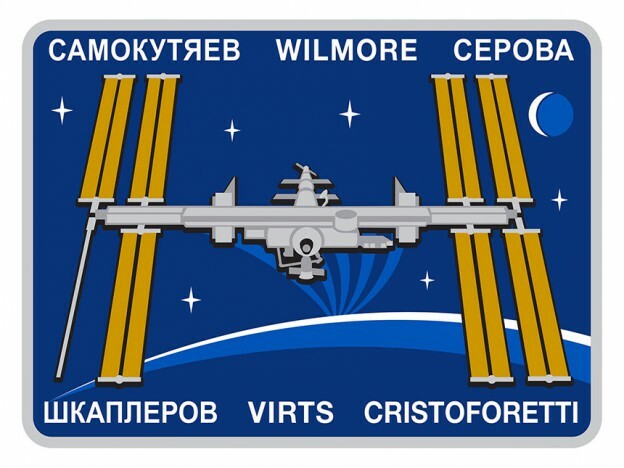 Wilmore is also getting ready to return home March 11 with Soyuz crewmates Alexander Samokutyaev and Elena Serova. Samokutyaev and Serova spent Tuesday getting their Soyuz spacecraft ready for next week’s undocking and packing gear for the return home. NASA astronauts Terry Virts and Barry Wilmore ended their spacewalk at 12:30 p.m. EST with the repressurization of the Quest airlock. Virts and Wilmore completed installing 400 feet of cable and several antennas associated with the Common Communications for Visiting Vehicles system known as C2V2. Boeing’s Crew Transportation System (CST)-100 and the SpaceX Crew Dragon will use the system in the coming years to rendezvous with the orbital laboratory and deliver crews to the space station. They completed one additional task to retrieve a bag to cover equipment on the outside of the station. The 5-hour, 38-minute spacewalk was the third for Virts and the fourth for Wilmore. 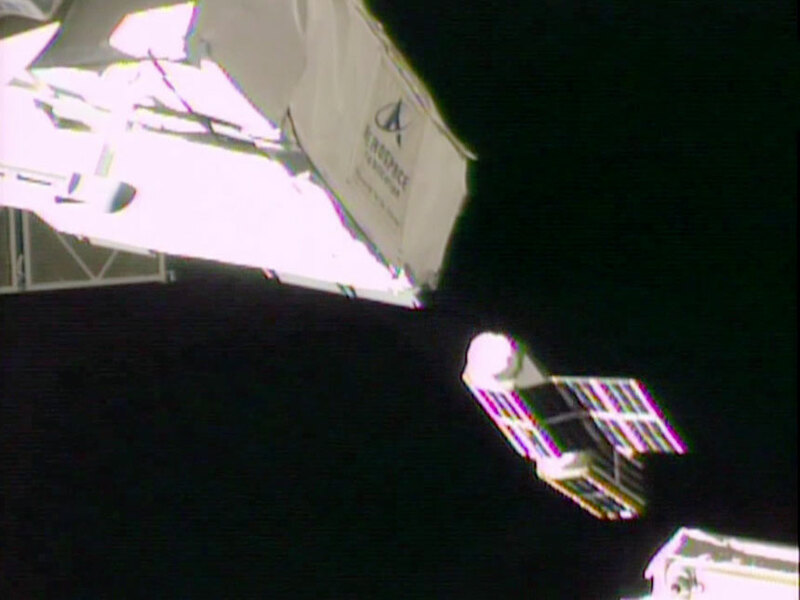 Virts has now spent 19 hours and 2 minutes outside during his three spacewalks. Wilmore now has spent 25 hours and 36 minutes in the void of space during his four excursions. Crews have now spent a total of 1,171 hours and 29 minutes conducting space station assembly and maintenance during 187 spacewalks. 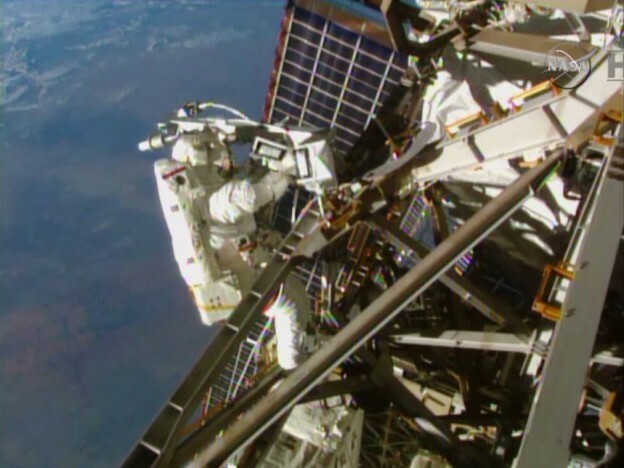 Approximately three hours into today’s spacewalk, NASA astronauts Terry Virts and Barry Wilmore have installed cables for the Common Communications for Visiting Vehicles (C2V2) system and completed tasks along the port side of the space station’s truss. To complete the system’s installation, they will route the remaining cables along the starboard side. They are about an hour ahead of the timeline. 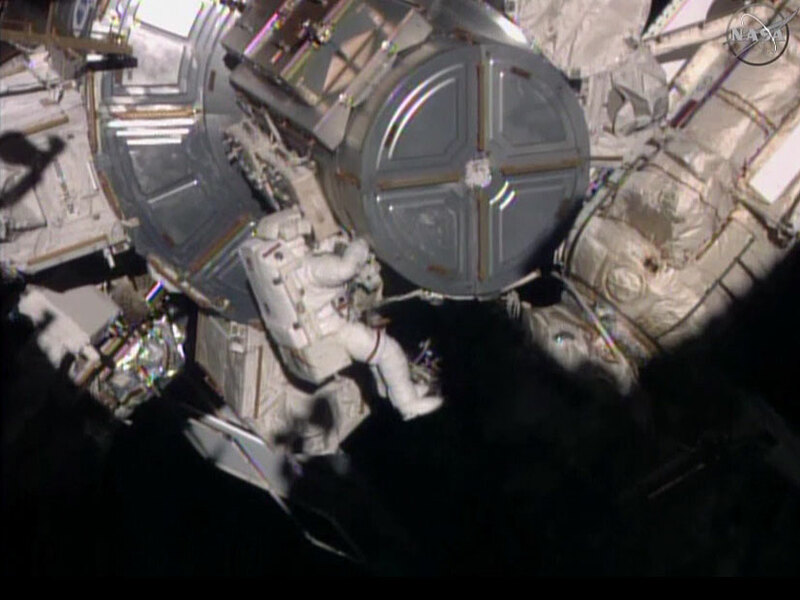 Both astronauts continue to report that their spacesuits are functioning perfectly.